Pro hockey was a different game during the late 1980's, and through the 1990's. High scoring games filled with fights and intense rivalries were the norm. The fan experience during that time provided a sense of excitement that is often lacking in the current era. During that time period the game was also filled with colorful characters who made their marks of the ice, but also as fan favorites to the loyal crowds who followed the game and filled the arenas. One such colorful character is Bruce Shoebottom. The rugged defenseman had a pro career spanning 13 seasons. Known to most as "Shoe", Bruce laced up his skates with teams from coast to coast, having skated for teams such as the Maine Mariners, and the San Diego Gulls, and had a well publicized stop in the heartland of Oklahoma in between. Shoe played a gritty game, and was not afraid to drop the gloves to stand up for his team when needed. The hard work paid off with stints over 3 seasons on the Boston Bruins blueline, including during their playoff run in 1988 which saw the Bruins end up as Stanley Cup runner-up. Shoe enjoyed his time in pro hockey, and has a keen appreciation for the game and the arenas that made up so much of the experience. Shoebottom has settled into a life near Portland, Maine but is still actively involved in hockey, suiting up approximately 30 times a year and still donning the #40 Bruins sweater as part of the Bruins Alumni team which raises money for charities. We had the chance to sit down and talk hockey, and hockey arenas, with him, and are able to share some of his insight as a player on how the arenas affect the game day experience from inside the glass. RTR - From a player's perspective, what are the qualities that make a great arena? Shoe - The locker rooms were always an interesting part of the different places to play. Some were better than others. Personally I like the older arenas that have some character and have had some history to them. I remember playing some games in Oklahoma City at the State Fairgrounds Arena and at one point the Boston Bruins had their farm team there so it made a personal connection for me, and I had some great games so I really enjoyed playing there. RTR - The next questions relates to both playing at home in your own arena, and also to being a player on the road in another team's barn. How big of a factor is the noise level as a player? Shoe - It's a factor for sure. Sometimes the noise at different arenas, and in different situations, can bring the players out of their comfort zone. If the crowd isn't a factor it is really easy to focus. If the crowd is bringing a lot of energy it can change momentum and change some other factors in the game. RTR - Interesting. Does that hold true on the road, that if fans are loud and cheering for their team, does that also get you fired up as an opponent, or would you rather have it quiet when you are on the road so you can focus on executing your game? Shoe - When you are on the road it is a negative thing when you have super crowd energy, and you have a lot of people heckling you. Different people can get under your skin. Not so much at the NHL level, but at the minor league level there are some thing with the crowd that can happen and effect you when you are on the road. RTR - Is that true to a larger extent with the teams in your own division or rivalry teams that you play more often? Do the fans seem to get on your case more in those situations than at places you don't play as much? Shoe - Most definitely. There are places that over the course of 4 or 5 seasons you could be in that arena maybe 20 times, but there are other places you may only play 3 or 4 times. It is definitely more intense at the places that you play more often. RTR - Do you enjoy playing the same guys and same teams and building up that dislike for certain teams, or did it not really make a difference? Shoe - It makes a difference. I remember when I played for the Fort Wayne Komets and we would play in Indianapolis at Market Square Arena, and we played on Christmas Day and we cleared the benches. When you play a team a lot it builds the rivalry, and it builds momentum, and the fans just pick up on that and it become part of the game. Close geography and the rivalries definitely help the game of hockey. RTR - Let's get a little more specific about you career and where you have played, and let's talk about your experience on the ice at different arenas. What was your experience like for your first game in the NHL and getting called up to the Boston Bruins vs. playing in the IHL and AHL before that? Shoe - When you play for several years in Junior and the minors and then find yourself in the right situation and get a chance to play in the NHL, you definitely don't sleep much the night before, and in terms on the way you are feeling everything is full blast and the volume is turned up. The guys in the room know you are nervous because it is your first game. It was at the Boston Garden and we had a good group with the Bruins at that time and it was pretty intense. I had actually gotten called earlier in the season a couple times to potentially play games and one time I made it to the airport and the plans changed. There were a couple close calls, but at the end of the year the call came and I made the most of it. RTR - That must have been a relief to finally be in the lineup after a couple false alarms on getting called up. Shoe - It took a couple games to get into the swing of things, but Terry O'Reilly was the coach and he was a great guy. I was in the right place at the right time and was in with a great group of people. RTR - When you finally got up to the NHL did any of the veterans take you under their wings and give you a heads up about the different arenas or the fans at the places that you would be going to? Shoe - Some guys were great about it. Some guys were more aware of the different teams and arenas you were playing and the different situations you were in than others. You always remember the players that treat you well. RTR - You played before the internet and internet videos, how did you prepare for different arenas and different situations you had to face and different tough guys you were playing? Shoe - There were guys that would help and share tips and information, such as a certain guy being a southpaw or certain tendencies of players. They would also give you tips about the ice or boards at certain arenas. That type of word of mouth information helped. Sometimes you didn't have information like that and paid the price for it. 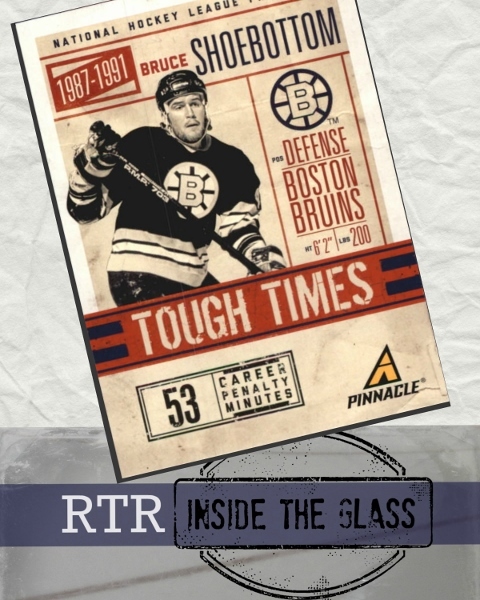 RTR - You were on the Bruins roster in 1988 during the infamous night when the lights went out at Boston Garden during game 4 of the Stanley Cup Finals. (Game 4 of the series found the game tied 3-3 with the Bruins trailing the Oilers 3-0 in the series. The game was essentially cancelled and game 4 moved to Edmonton, where the Oilers completed the sweep and earned the cup) Were you dressed for that game and what do you remember about it as that was a rare situation in sports where the arena played a huge part in the outcome of the events? Shoe - I played some games during that playoff, but got hurt so I was not in the lineup that night. If you have ever spent time at the Boston Garden it was one of the most exceptional arenas in terms of character, but the wiring and fuse panels were probably the same as they were from the 1920's. You used to park your car out back, in a separate building, and, no exaggeration, there were rats out there that were the size of small cats, so when things went wrong that night against the Oilers if you were familiar with the building you were not the least bit surprised. It could have happened any time, it just happened during the Stanley Cup finals. RTR - What other memories do you have about what made the Garden a special place to play? Shoe - The small ice, like at the Buffalo Aud, the Garden, and possibly Chicago. The small ice made a tremendous difference. In the defensive zone there just wasn't a lot of room to get around you, and if you were a big guy you could basically play positionally and you would be OK. When you went to some of the other arenas like Calgary or Vancouver if you got caught out of position you wouldn't have the ability to get back, so just those small changes in dimension changed the game at that arena entirely. RTR - Did the quality of the ice make a difference to you as a player? Shoe - Yes, going to different arenas, and even playing late in the season in the playoffs when the outside temperature changed, it would make a difference. Not a huge one, but a difference. Certain arenas where the ice was perfect were an advantage to speedy players, but places where the ice was less than ideal would work to my advantage as a defenseman. RTR - If you don't mind I'd like to go back to the beginning of your career and your time playing in the OHL for Peterborough. How did you enjoy your experience there and what were your thoughts on playing in some of those classic buildings in the OHL? Shoe - It was a great experience. The Ontario Hockey League is like a mini NHL. There are a lot of good arenas. I was fortunate enough to come back and play one of the final games at Windsor Arena with the Bruins Alumni. Shortly after we played that game they started the conversion to make the arena into a store. It was like coming full circle. Playing Junior hockey there and then coming back to play one final game as a Bruins Alumni player was fun. RTR - Wow. That's an awesome story. We were fortunate enough to get to Windsor Arena before it closed. There was so much fog the players had to skate in circles several times to clear the fog out but that place had great history and great fans. Shoe - That was a great alumni game. Ray Bourque played, Ricky Middleton played, and I scored a couple goals so it was a fun night. RTR - That sounds like fun. Were there any buildings in the OHL that you dreaded going to because the fans made it tough to play in their barn? Shoe - The games against Oshawa were always interesting and very physical. I can remember going up to Belleville to play the Bulls and having some pretty intense games. The Sault Ste. Marie Greyhounds played in an old arena up there (Sault Memorial Gardens). We faced them in the OHL finals and I remember having a couple of memorable fights against Bob Probert so those were some good times. RTR - Jumping a little bit forward to your time in the minors, what were some standout arenas that you played in during your tenure in the minors? Shoe - Rochester was a great American Hockey League city. Binghamton was a great place. Fort Wayne is a great city and has tremendous attendance. I loved my time in Portland. RTR - This is something you maybe never thought of, but in looking at your stats and where you played it is amazing that so many of the places you have played still have hockey despite high attrition and turnover of franchises in minor league hockey. Places like Rochester, Fort Wayne, Peoria, Oklahoma City all still have teams. That is amazing. Shoe - You know it is kind of funny because I was talking to some of my friends about all of these cities in the 1990's that wanted minor league hockey and the team only lasted 3 or 4 years. It has a lot to do with getting the right people and right ownership to get it started. I was fortunate to play for some great organizations. RTR - How different is it as a player to play in a city that does not have a "hockey culture"? Not many people grow up in a place like San Diego or Oklahoma City and play hockey, or even know much about the game aside from the minor league team that is in the city. How does that compare to playing in a place like Rochester or Portland where hockey is a bigger part of the culture? Shoe - The level of sophistication of the fans in areas that have hockey is noticeable. You can see it in how they watch the game and react to it. Whereas when I played in Oklahoma City we were playing at the Myriad Convention Center and we were averaging over 10,000 fans per night, but the fans didn't know that much about hockey. It was strictly for entertainment value. We'd be in overtime against Tulsa and some guy in a 10 gallon cowboy hat would lean over the glass behind the bench and start yelling at you "Hey, when are you gonna start some fights?" They were there for entertainment. They wanted a show. Oklahoma City was a great city. They are kind of cut off geographically now in the AHL, and have lost rivalries with Wichita and Tulsa. RTR - What was the wackiest situation you've been in where the layout or design of the arena led to a memorable moment? Shoe - I've got a few stories that come to mind. I remember when we were playing in Rochester and I was still with Binghamton. The arena was really an old school setup at the Rochester War Memorial. I ended up having to fight this huge guy name Andy Ristau. I knew the fight was going to happen so I just went ahead and crosschecked him right in the chest. Sure enough we end up fighting and we go to the penalty box, and the penalty box was set up like something from the 1970's. We were basically sitting beside each other and there was just a board in between us. We're sitting there both pissed, essentially sitting on the same bench with hardly anything separating us. That was the first time I can ever remember experiencing that. I also remember one time I was playing in Kalamazoo. 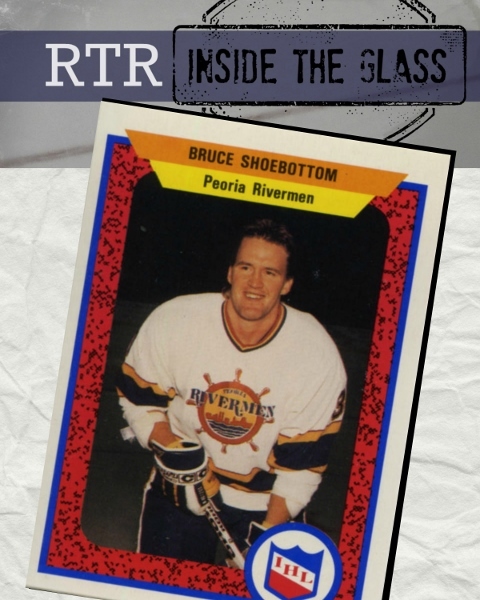 I started out playing there when I was with Fort Wayne, and it was probably 6 or 7 seasons later I came back playing for the Peoria Rivermen, and it was funny because there were the same fans that sat behind the penalty box. They used to heckle you and yell at you, and inevitably I ended up in the penalty box and these people must have forgotten me, but recognized the name and they thought it was my younger brother playing. They were like "Shoebottom your older brother played here years ago and he was a bum just like you". I leaned over to the people and said "Hey - I'm the same guy". There wasn't much separation with the fans and you were actually able to carry one a conversation with these people. They must have thought I was too old to be playing and it was a younger brother coming through town then, but it was pretty funny and you remember stuff like that. RTR - Is that a situation where went you went to Kalamazoo after a bunch of years did you immediately remember that this was the place where the fans were gonna get on your case and were right on top of the penalty box? Shoe - Yeah. You remember stuff like that. There were fans in Utica that used to heckle you, and there were people in Springfield, Mass that would say the same things night in and night out and I got a kick out of it. You would remember it. Another memorable situation which resulted from the layout of the arena used to happen when I played in Rochester. Over the years of playing minor league hockey I used to always have German Shepherds. I've had some great dogs over the years. When I played for Rochester I used to take my truck down to the basement of the arena and wash the truck, and I'd have my dog with me and he would wander the basement. The basement was also where the visiting team's locker room was. My dog would go into the visitors locker room and take a huge dump. Sure enough, the visiting teams would show up and have to deal with the mess. The head trainer for the Amerks, Pete Rogers, would always tell me "Shoe- you gotta do something with your dog, the other teams are all pissed and complaining because the locker room stinks like your dog". RTR - While playing for the Oklahoma City Blazers I know you had that well publicized incident in Tulsa with the police. (You can Google it, but essentially police attacked Shoebottom for attempting to leave the penalty box to fight a Tulsa player and a half dozen cops assaulted Bruce and choked him and he ended up in the hospital.) Is that something you want to talk about? How did that all even come about? Was that a similar situation where the penalty box was open to the concourse? Shoe - Yeah, it's OK. I'm happy to chat about it. Over the years I haven't really talked about it alot. For 5 years or so after it happened it was really a touchy subject, but after about 10 years you look back and sort of laugh. Essentially what was going on was that it was a really strong rivalry between Oklahoma City and Tulsa, and what happened at the arena is that the off duty police and the off-ice officials, they are good people, but during the course of a full season they get to be fans, and they know the guys, so as much as they try to be impartial they are friends with the guys on Tulsa and they want Tulsa to win. We had a playoff game and the whole thing went down, and there was a little bumping in the penalty box, and the police that were there got over excited. It was the playoffs. There was a lot of energy in the building and one thing led to another and we had a crazy situation. With the new buttoned down arenas and things like that it would not have happened. It was a crazy night in Tulsa, and for a good few years after it happened it was not a funny subject for me. RTR - Regarding this situation, and the things we talked about before, with the differences between areas with a hockey culture and places without it, do you think that played a role in this happening in a place like Tulsa? Do you think that the cops just didn't understand that the fighting takes place on the ice and is nothing personal, and didn't understand how the game of hockey works? Shoe - It's absolutely a part of it. Tulsa got a taste of hockey in the 1970's, and then it went away, and it came back again in the years I played in the league, but the fans and most of the people in the arena didn't understand the game. This never would have happened in a place like Hershey where there are decades of hockey tradition and folks really understand hockey. The fans were there for entertainment and just didn't understand the subtleties of the game. RTR - At the very end of your career, after about 4 seasons off, you played one game in the Quebec Senior League with Saint-Georges. What was that experience like? Shoe - It was crazy. I was in the bar business at the time and was out of hockey and didn't have any interest in getting back in. You run into people though, and somebody got my number. My wife said some guy in a broken French accent called the house and offered to pay me by the game. The expectation was always that I would have to fight. One guy asked "will you fight Link Gaetz?" I ended up rolling up there one time before the holidays. I was in my mid 30's. I was lucky enough to get up there for one game and get out of there without anymore concussions (Bruce fought Quebec tough guy Jacques Dube in his only game for the Saint-Georges Garaga). You could tell it would have been a fun situation if you were 25 years old. It just wasn't the right place for me when I was like 35. The fans were crazy and the arena was great. It was one game, I ended up with some pretty good cash in my pocket and left with my head still on my shoulders. RTR - What arena were you playing in when the most memorable moment of your career took place? Shoe - We'll I think it would have to be the Boston Garden. I was lucky enough to catch on during that first season in the playoffs and we were playing Buffalo. Ray Bourque had a minor injury so I was playing a bit more then I normally would. Midway through the game I sent a dump in off of Tom Barasso and it went over to Cam Neely, and I had some momentum, and went to the front of the net and Cam passed it to me and I scored the game winning goal. The funny thing about it was that years later I was talking to Cam about it and he admitted "Hey Shoe, I thought it was Bobby Joyce cutting to the net, if I had known it was you I never would have passed it to you" (Laughter) That was a brief moment in time over a 12 season career, but that would have to be a highlight. RTR - How involved in the game are you currently? Shoe - We have a busy schedule with the Bruins Alumni team, which is run by Rick Middleton. We have a team that plays charity hockey games. We probably play 35 games a year, and do youth hockey clinics and raise money for youth hockey organizations. We would also like to develop something up here with the American Hockey League alumni in Maine with players who played on the Maine Mariners, Portland Pirates, and Maine Nordiques, so that is something that could happen in the future. I still enjoy it. 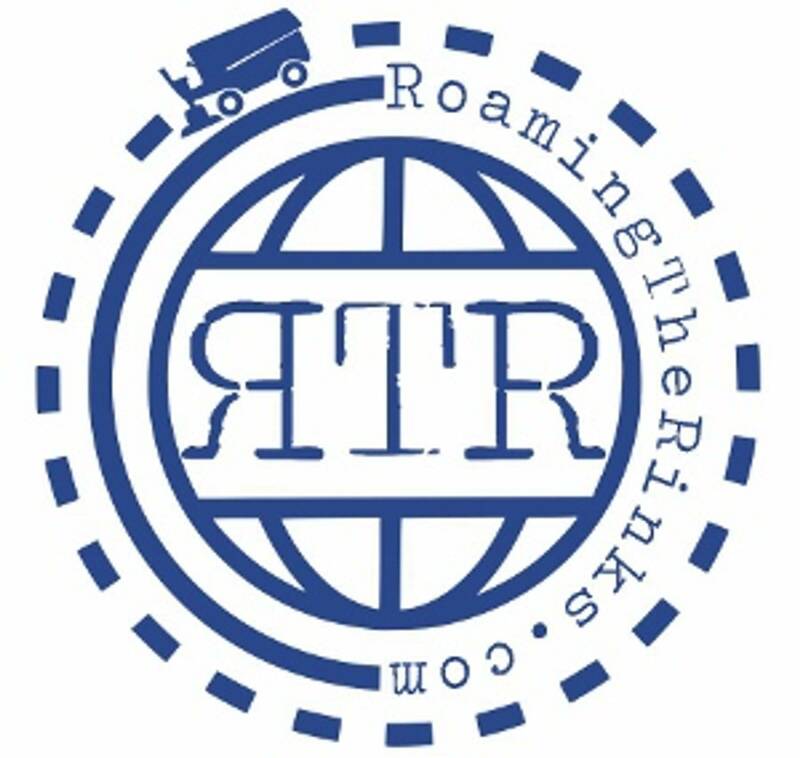 RTR - Any other thoughts or stories you would like to add? Shoe - I was just fortunate enough to be in the right place with the right people and be able to have a decent career in hockey. There were a lot of memorable places that I was lucky enough to play at, and sometimes I'll find myself driving down the highway near a place I used to play, and often want to stop again to check things out, but you end of not having enough time and are always going about your day full speed.